Last post mentioned that my food science schooling involved lots of science and no cooking. Yet it wasn’t all hard work. Classes like Music 101 and General Theater helped me satisfy department requirements and also gave me insight into subjects completely outside of my major. It was in the theater class that I learned about “suspension of disbelief.” In a good stage production, the audience suspends disbelief; limitations of live theater don’t prevent folks from believing what they see on stage. And it’s this phrase I thought of when deciding to pursue today’s recipe. While my jury is still out on the merits of facebook, I’ve come to enjoy posting to my deLizious business page. Family, friends, clients, and even complete strangers have been pestered encouraged to sign on with a Like as well as to help make it more of a community by sharing their own fun food (and drink) finds. It’s gratifying when someone takes me up on this, so I was thrilled when my friend Kristine brought Peanut Butter Chocolate Chip Cookie Dough Bites to the deLizious party. This recipe, found all over the internet, promises “NO FLOUR, NO OIL, NO WHITE SUGAR.” And it contains chickpeas. 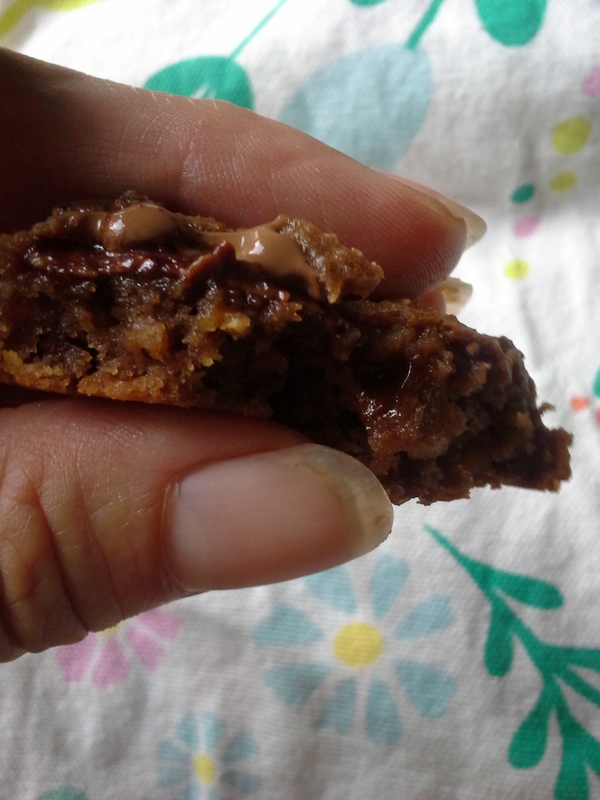 I shared the post and was surprised to see it prove popular, generating a healthy discussion on whether it might taste good (I had my doubts, having been burned before with those beet brownies) and whether it truly was sugar- and oil-free if it contained chocolate chips. Noting that Dinner of Herbs had made these same cookies and given them thumbs-up via her facebook page, I decided to go for it. I’d suspend my disbelief that legumes don’t belong in baked goods. Of course there were changes along the way. It made more sense to use the entire 15-ounce can of chickpeas instead of measuring out the 1 1/4 cups called for. A jar of nutella beckoned from the pantry when I reached for the peanut butter. (And when I emptied it before having the amount needed, cashew butter provided the balance.) Peanut butter chips and chopped chocolate stood in for the chocolate chips, and you know I used more than the 1/2 cup called for. Finally, instead of hauling out my food processor, I put everything in a bowl and whirred it (mostly) smooth with my stick blender. And? I’ll agree with D of H and give them that thumbs-up. They’re a bit mealy, though not enough to bother. I can tell they contain chickpeas, but only because I know they’re there. Named well, they taste a lot like raw cookie dough even after baking. But to call them cookies seems a stretch. (That said, for gluten-free, they’re phenomenal.) No one will mistake them for Mrs. Fields‘ latest. Do I not love them because I know what’s in them or are they just not that amazing? Can’t say. They’re tasty enough, but still strike me as a bit odd. Bottom line: I have trouble suspending my disbelief. Chickpeas shine in salads, hummus, pasta dishes, soups. 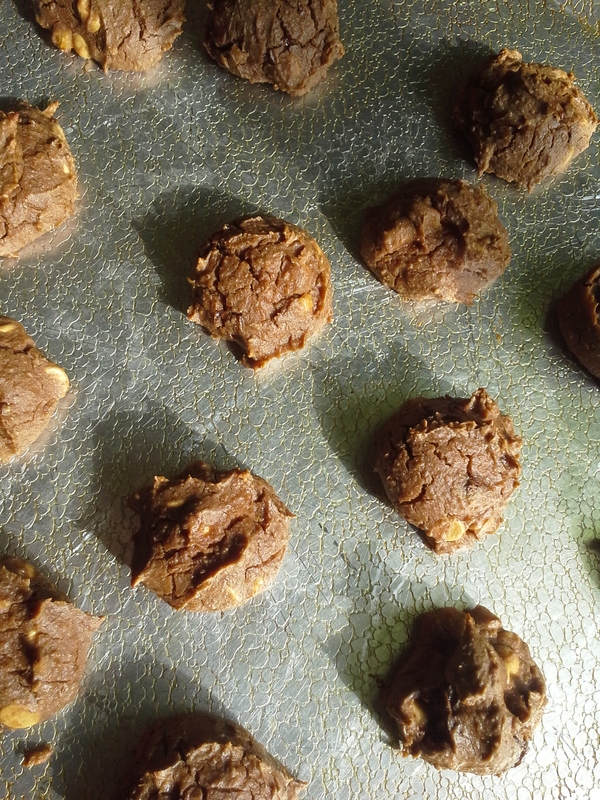 But to puree them into a cookie seems sacrilege and I’m unable to get past that enough to rave about these treats. If you’re in the mood, I challenge you to make these chickpea cookies and report back. Do you like them or no? How adept are you at suspending your disbelief when it comes to baked goods? Heat oven to 350°F. Grease baking pan or coat with cooking spray. In large bowl, combine all the ingredients except chocolate chips; blend with immersion blender until smooth. (Or process in food processor.) Add chocolate chips; stir to mix. Scoop mixture into small mounds on baking pan. Bake 10 minutes or until just set. Cool on wire racks. Makes about 30 dough bites. I’m going to try these!!! please let me know what you think if you do, Mimi. Not sure if they reeked too much of healthy for me (I don’t even like fruit pies–my desserts need to not be good for me) or if they were just ok overall. Have read lots of great reviews for them, so some folks are nuts about them. Emperor’s clothes kind of thing or I just have different taste buds? Ooo, I like the idea of nutella! And I agree that they are like raw cookie dough. 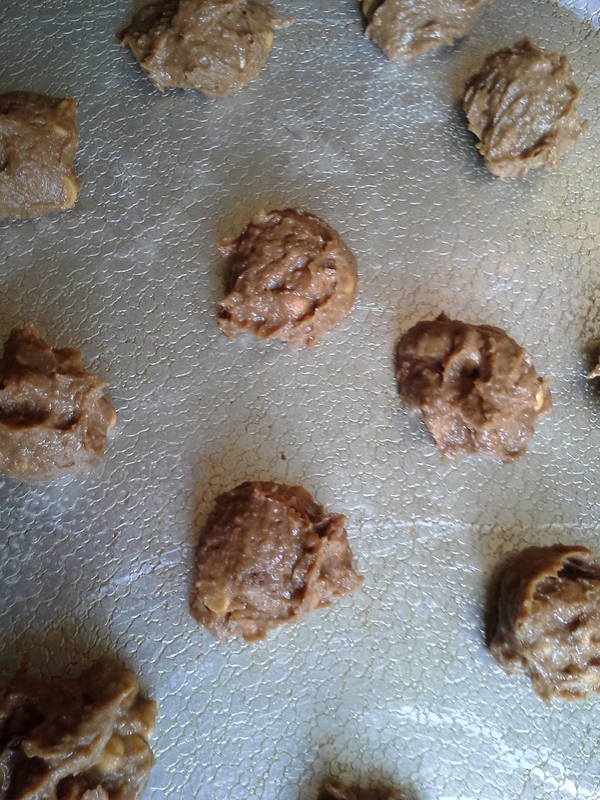 I guess it is good for people who refuse to eat regular raw cookie dough because of the raw egg in it (me!). I can only come up with “strange” for these, but they weren’t fails either. Did you store yours in the fridge? At least mine didn’t end up in the trash like the beet brownies. Yes, I kept mine in the fridge. They were still so soft and moist that I worried about storing them at room temperature. I am waaaay too afraid of food poisoning, so I stay far away from eating raw eggs. Thanks, Steven. As your site has taught me–never know what you’ll find on the internet 😉 Glad you’re here. Likewise….via your blog, I’m now on an innovative journey of food discovery! Please do let me know as I’m puzzled as to whether it was me or the “cookies” that left me with the “mehs.” Tell me more about your beet brownies: Canned or fresh? Mine had canned and I can’t get past that tinny flavor and wondered if fresh would have been better. Mine were fresh beets, and they added a mysterious earthy flavour without detracting from the chocolate. I have extra beets at the moment so the beet brownies should be on the blog soon. I’ll make the cookies this weekend and tell you what unsuspecting friends think, muahaha. Hiya, I’ve tested the chickpea cookies on a few people. You are right, there is the chickpea taste/texture, half of the testers liked it. The texture was similar to red bean paste or the filling for moon cakes, which helped me to get my head around the “cookies”. Not my favourite, but it was a fun “test” to run! LOVE that you got back to me on this. Thanks, Saucy! Glad it’s not just me that wasn’t sold on them. Though I will say that I’ve kept them in the refrigerator and they taste better chilled. Just not sure how to classify them–they don’t deserve the category of “dessert” but seem a weird snack. Liking the idea of red bean paste and moon cakes. Yum. I can’t suspend my belief at how good those cookies look! I mean I can suspend my belief at how good those cookies look. Or rather, I can’t suspend my disbelief at how good those cookies look. What I’m trying to say is . . . Cookies . . . Good . . . Me like . . .
Have you ever experimented with black beans in brownies? Might be a good follow up for you. http://wp.me/p2dvv9-yH 🙂 If you have a good recipe, please pass on. Always up for the kitchen experiment. Glad you’re here! These look interesting! I happen to have a can of chickpeas that’s been sitting around in one of my kitchen cabinets, so I will give this a try! 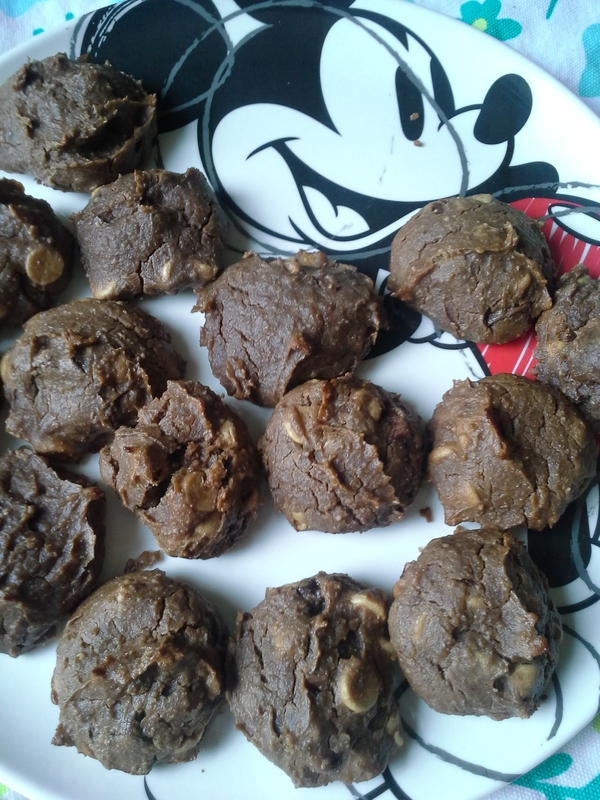 Even if these cookies taste odd to me, at least they’re healthy and I won’t feel guilty about eating them hehe. lol, yes to ” interesting.” They don’t taste odd so much as feel odd. Let me know what you make of them once you’ve tried. Something about the texture–no flour will do that, I suppose. Thanks for coming by, Ada! First of all, cookies on a Mickey plate, yum. The idea is intriguing. They look great. Not sure if I could bring myself to make them though. You know the Mickey plate was for you, Tracy 😉 Intriguing, interesting. And I’m glad I did it so I can say I did. 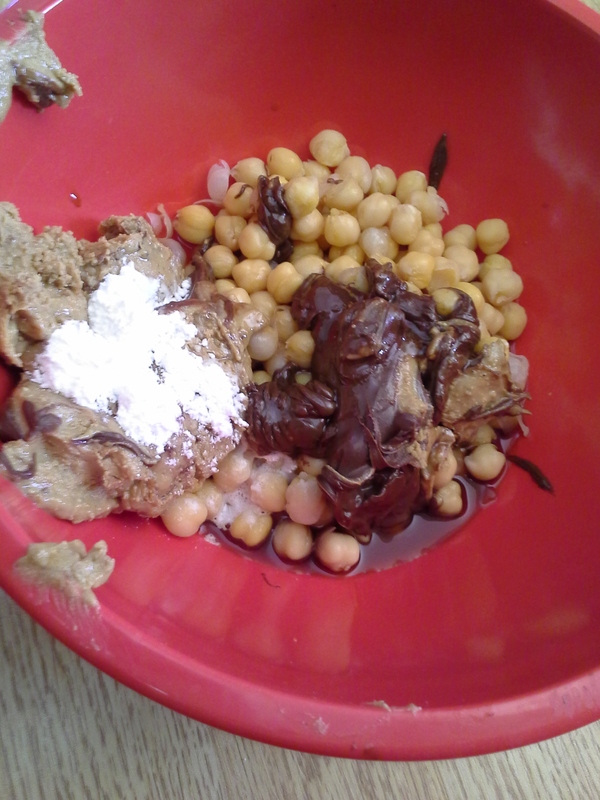 But next time I have a can of chickpeas, I’ll make hummus or maybe even a curry. Looking forward to circling back to your redux eventually. Still riding that summer roller coaster here 0-: Hope all is well on your end. my only genius is following other leads 😉 I still can’t explain why I don’t love love love them. ?? Bet you could do something with them! Still going to make those dried apricot-chocolate thingies you put together. Okay, you’ve officially screwed with my mind. I still have a print-out of your maple syrup cookies sitting on my work surface (didn’t have time to make them at the weekend, booooo), and now I’ll have to add this to it. CHICKPEA COOKIES??? WHO KNEW???? I think I’ll skip the chickpea and have the peanut butter chocolate chip which are two of my favs rolled into one! I’m going to go with you on this one. Next time I start talking about making cookies with chickpeas, please hand me a hummus recipe instead 😉 Thanks for coming by! I’m with you, John. Make me a salad with chickpeas and pack my cookies full of chocolate and gluten and sugar and fat. I like your philosophy of filling up on the fun stuff now as who knows what tomorrow may bring! Thanks for coming by. I dunno about this one, Liz. If you cannot tell there are chick peas in the cookie, then why do they want you to put them in there!? Even so, its good of you to plow the path on the chick pea cookie debate. Clears up what many probably suspected all along. Yes, the outcome was a confirmation of what my instincts already knew. And I’m agreeing wholeheartedly with your Nutella stance. Amen. Ahhhhh! This brought back a bit of PTSD for me. 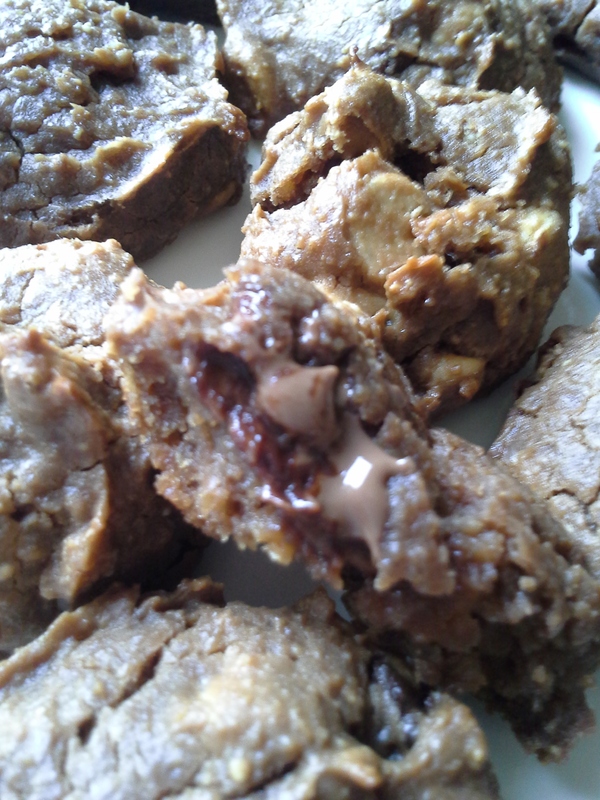 I once made chickpea blondies and they were terrifying. The batter set up really weird and everyone in my office was put off by them. I didn’t revel the “secret ingredient” until someone finally said “these remind me of refried beans.” My laughter gave it away. Total fail. I’m glad you didn’t have to trash these but as far as healthy desserts go I’ll just use better fats (dark chocolate, coconut oil) and leave the beans out of it. you’re cracking me up, J. PSTD? Wow 😉 I remember those bars. I agree that desserts don’t need to be good-for-you. Dark chocolate and coconut oil–yum. Thanks for coming by, Miss Winnie! I’ve never thought of chickpeas in a dessert quite frankly! But would try it out someday!! I’ve nominated you for THE VERSATILE BLOGGER AWARD! 🙂 CONGRATS!! Keep writing 🙂 Go here to accept your award! Thank you, Bandhna 🙂 Am honored! Will work on “accepting” very soon. Appreciate you being here very much! What? Cookies made from chick peas? That look delicious ?? I am totally going to make these for my 4-year-old. Ok yes, and for me too! I bet your 4-year-old will love them as he or she doesn’t yet know that chickpeas don’t belong in cookies 😉 thanks for coming by. am loving your blog–what a fun concept! Glad you’re here, Uru 😉 Not sure that I’d rate these as “perfect,” but they were interesting and not bad really. Fun for sure. Thanks for coming over. Wow, I have never seen cookies made with chickpeas before! You do indeed find something new on the Internet every day! I also have a problem “suspending my disbelief” I am intrigued with these though, they do actually look really good! Thanks, Jayne. Found that they aged pretty well, tasting better a few days of chilling. Appreciate you stopping by! 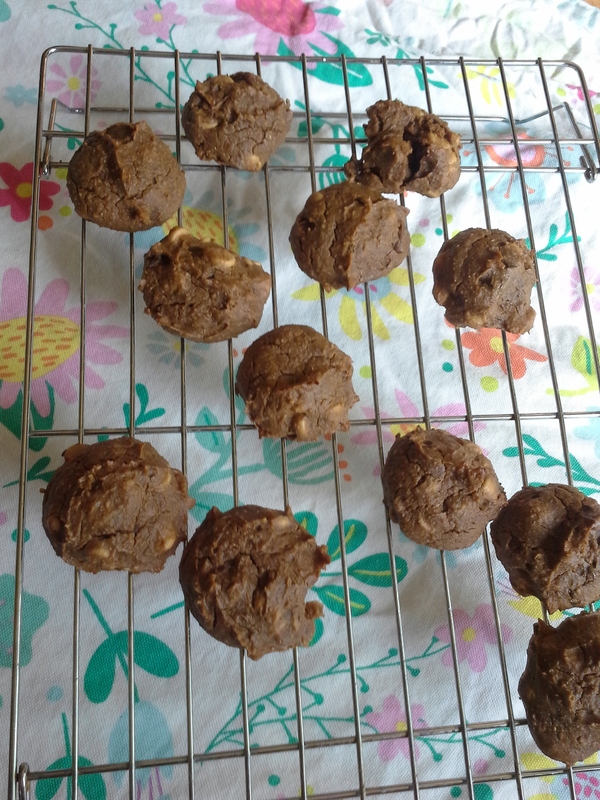 Chickpeas in cookies just seems… odd. But upon reading and seeing how amazing they look once done, I’m sold! Certainly willing to try it. Very interesting post, Liz. EJ! So glad to have you here–amb has the coolest friends 🙂 Note that I wasn’t exactly “sold” on these puppies (and by puppies, I mean cookies), but am all for the experiment if it involves food. Many thanks for the comment. I finally got around to making these today! Made almond butter from scratch, then tossed in the other ingredients as listed. Just ate a piece (or two) while it was still warm–I could tell the texture was off, but it was still soft and the gooey chocolate helped with both the flavor and texture. My boyfriend thought the texture was fine, but could taste the chickpeas. sounds like we had similar feelings about the results–not overly crazy about them, but they weren’t bad. I’m impressed you make your own almond butter. Want to start doing that as well. Also want to try making nut milks. Have you? Could dunk our chickpea cookies in our homemade nut milk–haha. The almond butter was pretty easy to make! I have yet to make any nut milks…I just buy almond milk from Costco haha. It’s definitely something I plan to try someday though! Yummmm I really want to try! 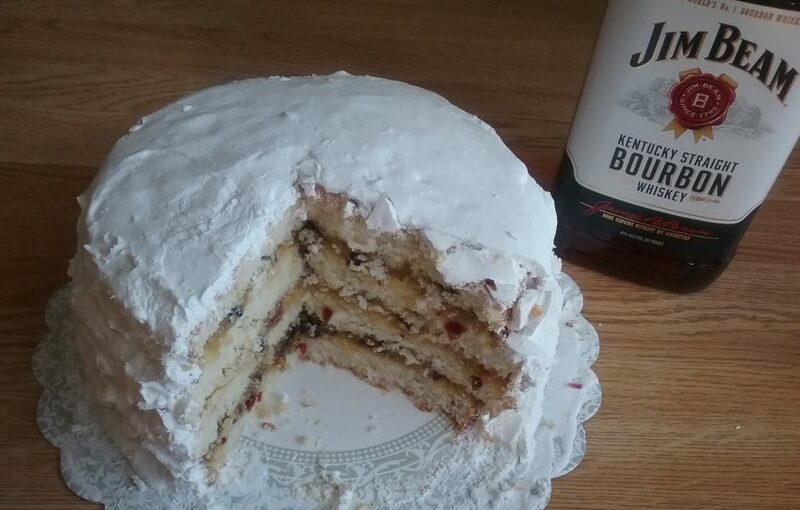 My boyfriend’s sister made something similar recently and I heard they were phenomenal! Thanks for coming over 🙂 Checked out your space and congrats on the 1-year blogiversary. Love that you’re as food-obsessed as I am. Appreciate your visit.